If you don’t have a solid plan for creating visibility for your business, those people looking for your products and services will find someone else instead of you. So what can you do that doesn’t cost a fortune? Many businesses that we work with are surprised to find out that a great many of the most effective tools you can use today to get visibility for your business are free! Some of the others are either relatively inexpensive or can be set up in a way that you’re only paying when you’re getting results. You have probably noticed by now that in the last year or so, Google began rolling out a change to the way local search results work. 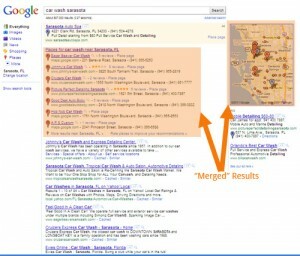 Instead of having a separate map showing up on the results page, the map listings have been merged with organic search results on many local searches. For example, in the picture here, I’ve run a search for a car wash in the city where we’re located. Google tries to show me relevant results from organic search as always. What makes this different is that you need to pay attention to your map listing because it is now affecting the rank of your website! Google may have already placed your business on the map using information they’ve gathered from other sources. If you haven’t already done so, it’s a good idea to claim your listing so that you can correct any inaccurate information and also provide additional details to help make the listing more relevant. 2. 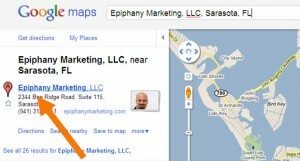 If you find it there, click on the name of your business in the list on the left side of the map view. Either way, from there you’ll need to login to your Google account or create a Google account. Then you can follow the instructions to edit the information in your listing. The steps above don’t cost you anything, take only a few minutes, and can make a big difference in your visibility. Well… we’re here for you. In fact, that’s why we created this webinar taking place today at 1pm Eastern (replay available here). In fact, on the webinar we’ll be showing additional free options for promoting your business as well as some important strategy to increase your effectiveness! There are still a few spots left so you may still be able to get in if you register right away. Everyone who attends will be automatically entered into a drawing for $100 in free Google advertising! This event is absolutely free. We do these from time to time because it’s a great way to introduce you to the small business marketing training programs we offer. There are no obligations and no strings attached, so register right now watch the replay so you don’t miss out on this valuable information!